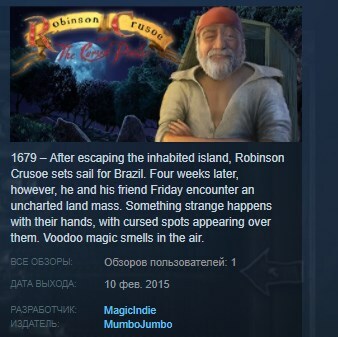 It´s 1679 – After escaping the inhabited island, Robinson Crusoe sets sail for Brazil. Four weeks later ,however, he and his friend Friday encounter an uncharted land mass. Something strange happens with their hands, with cursed spots appearing over them. Voodoo magic smells in the air.